This year Lama Lobtsul Rinpoche will hold a Vajrasattva retreat. April 8th, Sunday, at 11:00 would be the Vajrasattva empowerment. Tuesday, on Dakini day, Lama will give the reading transmission for the Vajrasattva retreat. 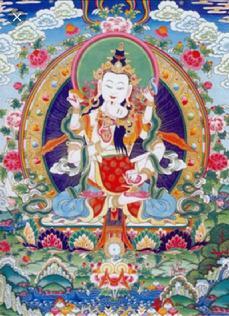 The Vajrasattva practice will proceed Wednesday, Thursday an Friday 7-9pm. Times for the retreat on Saturday and Sunday will be 10am-12pm and 2pm-5pm. This Vajrasattva is from Tragthung Dudjom Nan Den Lingpa terma. Dudjom Lingpa had five emanations. The enlightened activity emanation was Tulku Natsong Ranngdrol, Venerable Gyatrul Rinpoche’s root Lama and Thachong Rinpoche’s root Lama. All Kunsang Nyima’s terma and empowerment’s were given to Lama Lobtsul by Thachong Rinpoche. If people would like to offer candles or incense they can. Saturday and Sunday there will be big Tsog offerings. In the past Lama Lobtsul has given the Vajrasattva empowerment many times but this will be his first time giving this empowerment in the US.